3.5' Small Airblown Outdoor Happy Turkey On Clearance $9.97 + FREE Store Pickup (Reg. $25)! You are here: Home / Great Deals / 3.5′ Small Airblown Outdoor Happy Turkey On Clearance $9.97 + FREE Store Pickup (Reg. $25)! 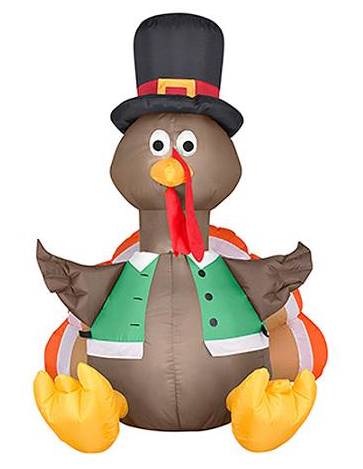 3.5′ Small Airblown Outdoor Happy Turkey On Clearance $9.97 + FREE Store Pickup (Reg. $25)! It’s never to early to start planning ahead (okay, way ahead) when you find clearance deals! Snag this cute 3.5′ Small Airblown Outdoor Happy Turkey On Clearance for just $9.97 (reg. $25) right now!